Hey! So I thought I'd check out another trend this week. Smock tops and smock dresses for that matter have been around for the last year really and they don't look to be going anywhere soon. The dress variety I find don't work too well on me, my hips are way too big so they kind of sit funny on me, but the top version I really like and have a few now. To be honest they are just kind of baggy peplum tops, but I like that, it gives the top a more casual edge and we all know I'm a casual girl. 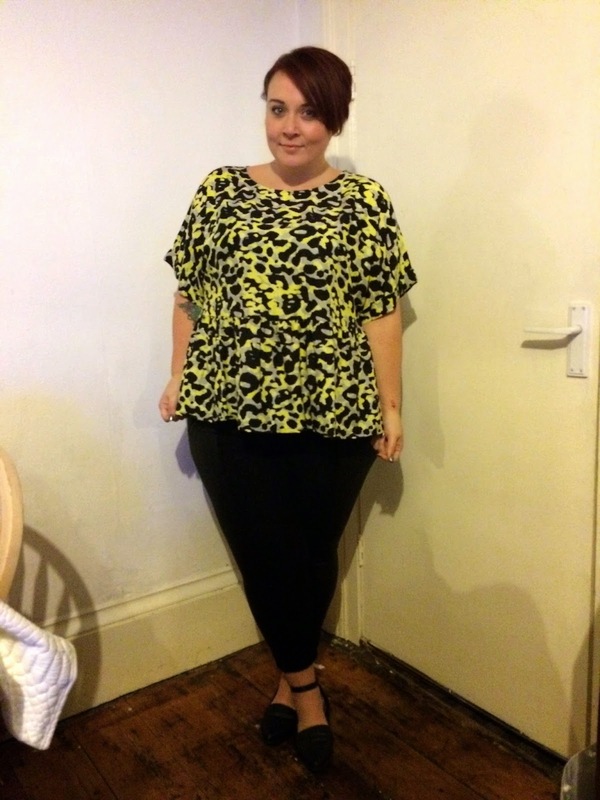 The latest addition to my collection is this bright leopard print smock top from Simply Be. I've been having a bit of a splurge with Simply Be at the moment, much to my credit account's dismay. But hey, I'll save and be sensible when I'm dead. I sized up to a 24, but I don't think I needed to it is very oversized, so you should be okay with your usual size. 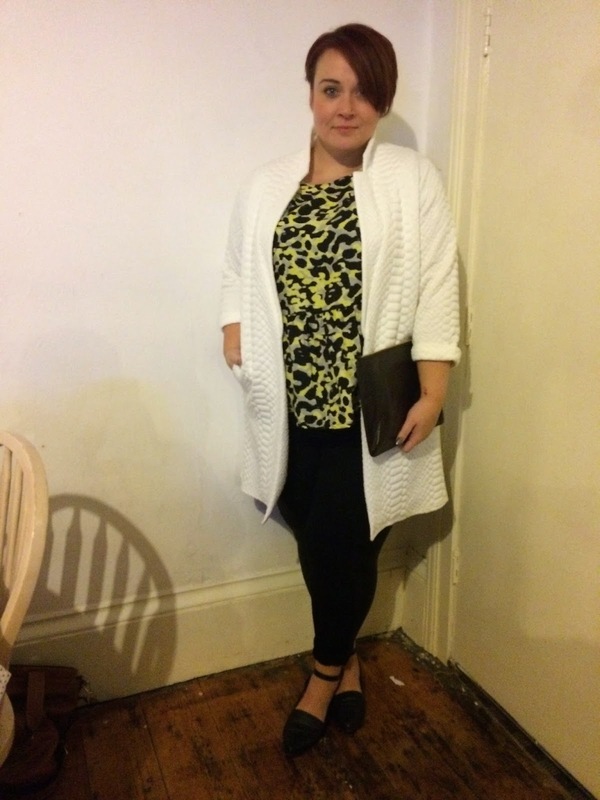 I'm wearing it with some panel leggings from Wallis (not that you can tell, Winter is no friend of the blogger! 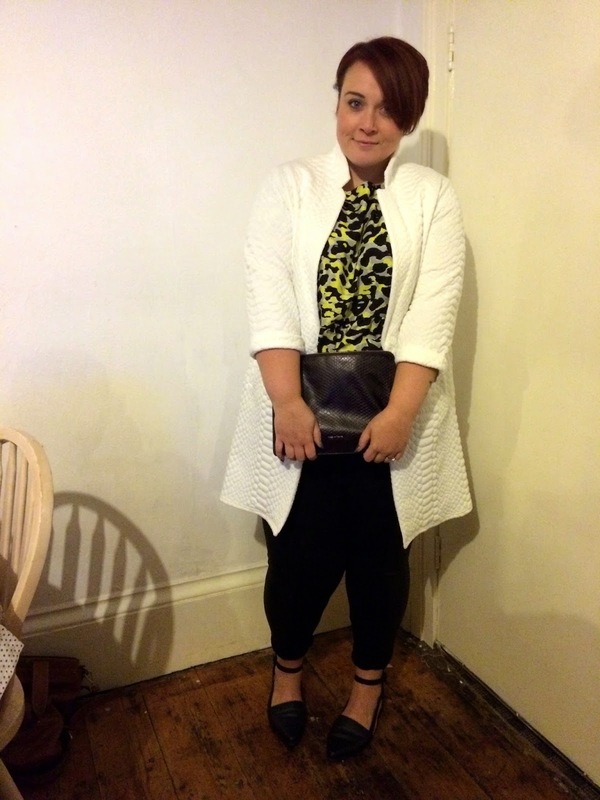 ), ASOS pointed flats and Simply Be textured jacket. 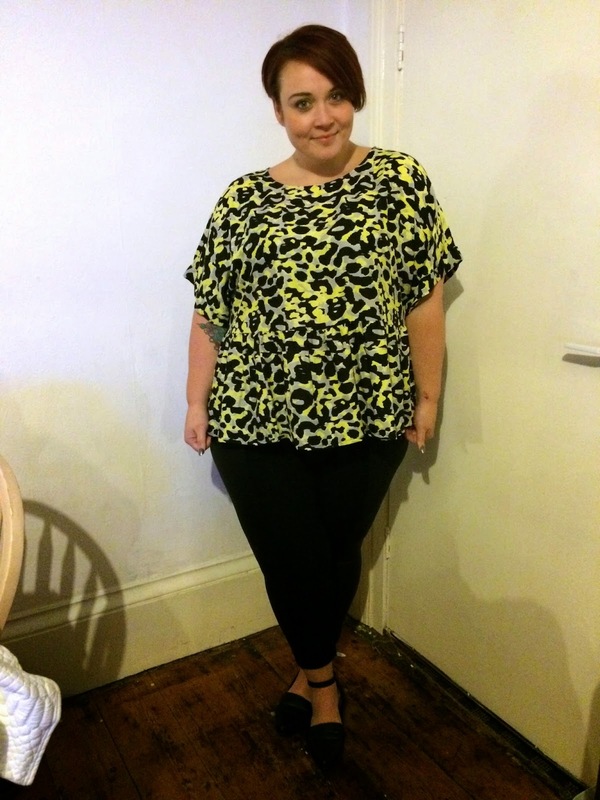 I think I'm going to wear this to death in the summer, it's a light cotton material, I love the acid yellow, grey and black contrast; one of my favourite colour combos! It will go really great with my jersey peg leg trousers and some sandals. Have you tried the smock trend? Do you prefer the dresses or tops or is it a bit too shapeless for you?